Geological locator for gold and voids for everybody to use! At GDI geophysical instruments we have tested all the 4 probe resistivity geophysical devices available worldwide. Our study results to the QUATROFORCE geophysical locators gold detectors advanced design. A powerhouse for finding treasures and gold ore that outperforms all rivals! 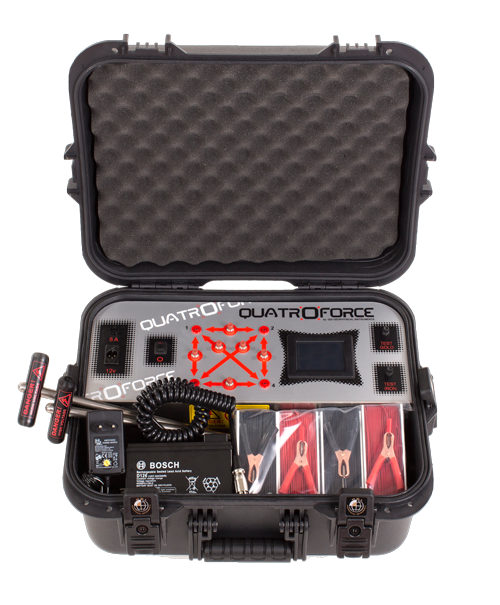 MORE POWER…QUATROFORCE powerful 110 volts “carrier wave” underground signal, scans deeper to ensure that no target is left hidden. 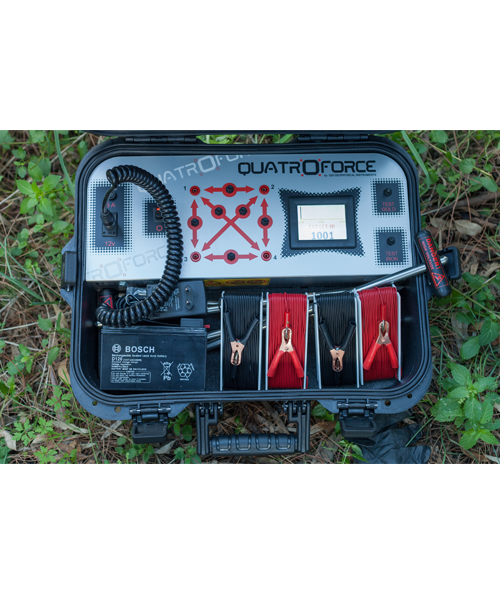 QUATROFORCE is a scientific geophysical locator for the detection of treasures, gold, metals, minerals, caves – voids – tombs, subsurface water etc. 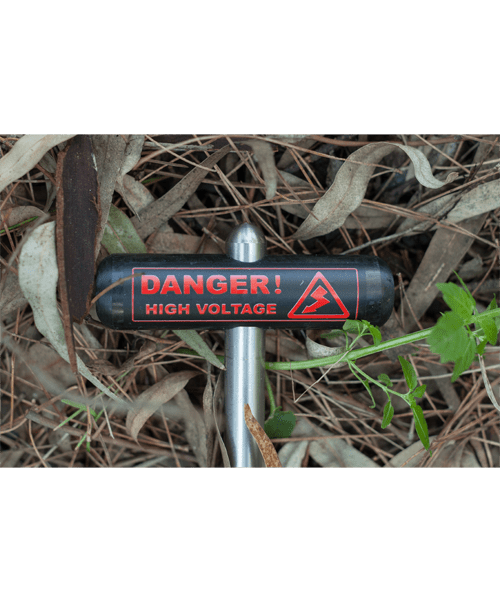 QUATROFORCE emits a powerful electrical signal and scans the total electrical resistance of the ground using 4 ground probes, that are hammered into the soil on a square or rectangular pattern. The results are displayed on a color LCD as graphics and TARGET ID values. 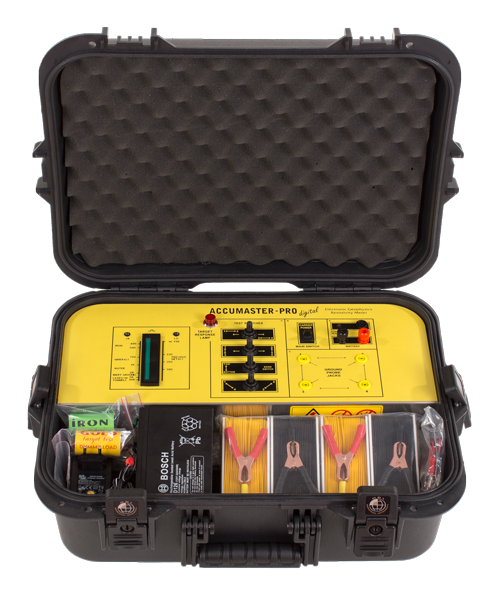 Underground electrical resistance changes with factors like water, metals or caves. 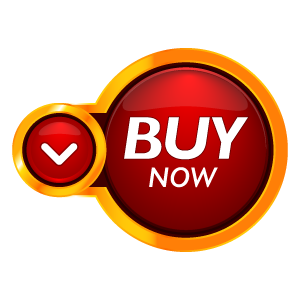 QUATROFORCE LCD analyses targets to these categories: caves/voids, inert ground, water, minerals, iron, gold / precious metals. 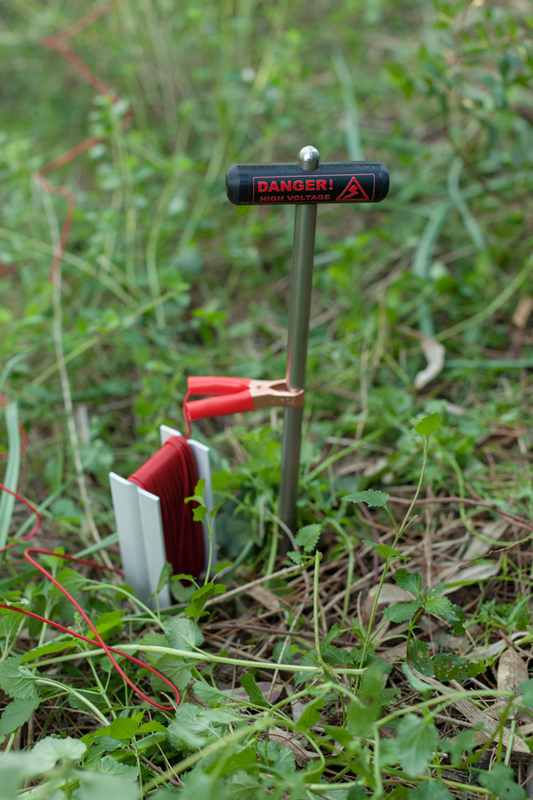 For a successful detection a metal target needs to have a mass about 3 kg or more. 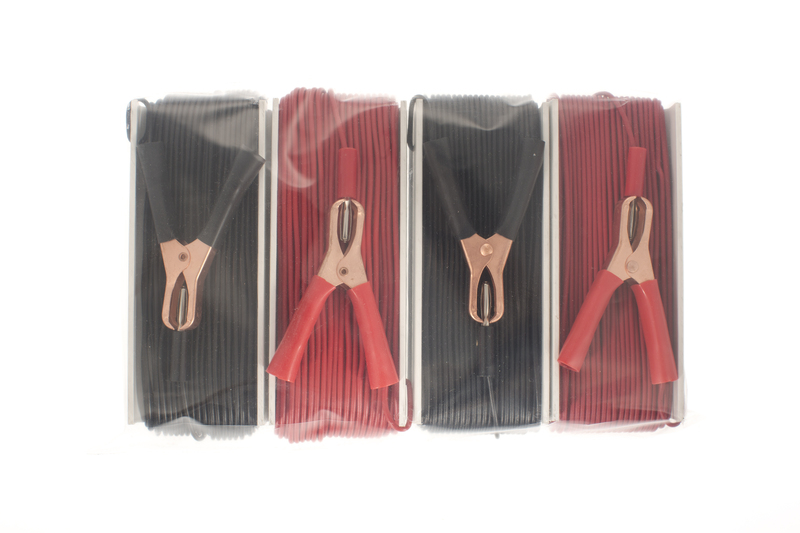 Small coins or equal sized surface targets that trouble metal detectors are not located. That feature is useful for the detection of treasures in depth, as there is no interference from the small and near the surface trash metal objects. It is a truly scientific tool for archaeology, mining industries, geology and treasure hunting, that can be used by just one operator. The most efficient geophysical locator requires not any training nor any experience. 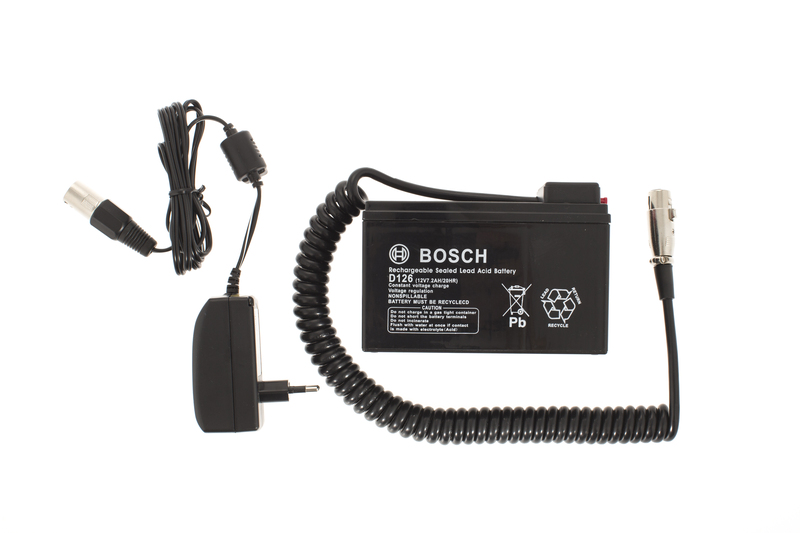 Comes with a 12 V / 7,2 Ah battery and a handy fast in-out power supply connector and charger on a watertight case. The QUATROFORCE “Carrier wave” signal transmits underground from 2 probes at a time, to 6 directions, on a square or rectangular pattern, like on the examples 1,2,3 & 4 shown below. Push the “Probe Test Buttons” and determine target location within a 1256 sq. meter area! We have taken the 4 probe geophysical locator design into the microprocessor age! With a backlight LCD analyses accurately voids, water, minerals, iron, gold & precious metals with color segments and TARGET ID values. What’s more with QUATROFORCE geophysical locators gold detectors? there are not any adjustments for the user to worry about, no complex operation, nothing to tune. QUATROFORCE geophysical locator is all automatic. Simply power on and start scanning the underground. Microprocessor accuracy and simplicity in electronic geophysics for everybody to use. Push the Probe Test Buttons for instant location / detection of treasures up to 33 meters depth. 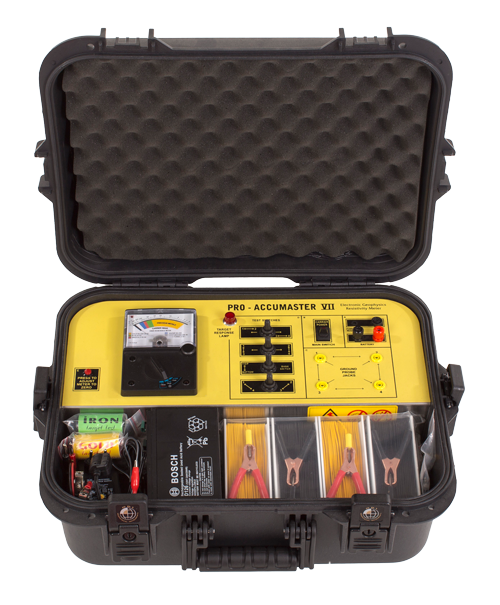 Find gold location using the Quatroforce geophysical locators gold detectors LCD. 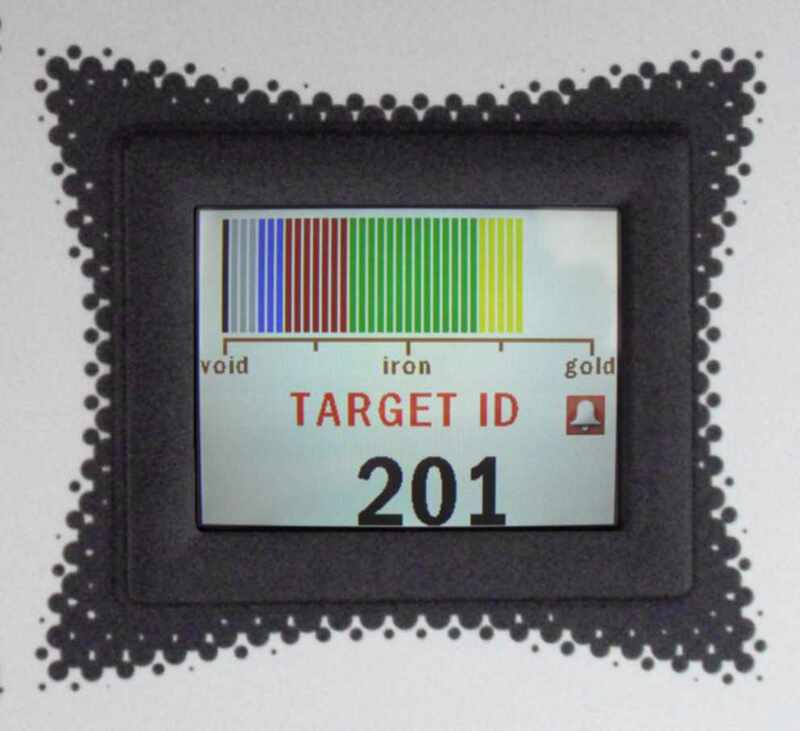 When the 4 rods are positioned just like on below examples, gold and silver targets display low TARGET ID values and yellow segments. In order to find treasure depth, follow example 4. 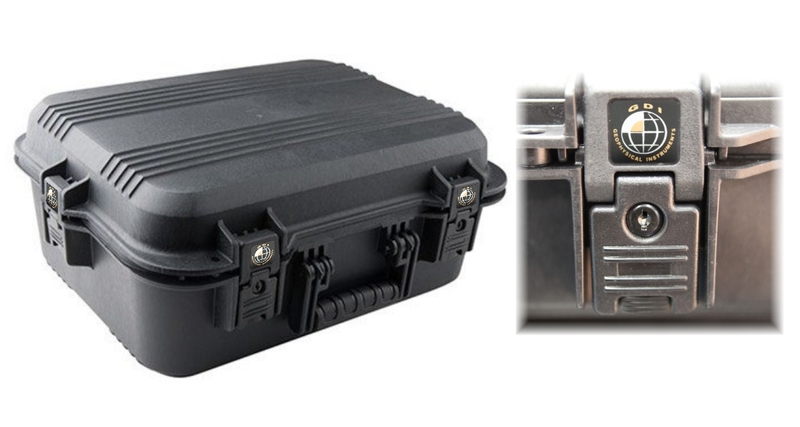 INTERESTED ABOUT THE GDI QUATROFORCE GEOPHYSICAL LOCATORS GOLD DETECTORS? Complete this form below and we will get back to you as soon as possible!